DALLAS, May 15, 2018 — The American Heart Association—the world’s leading voluntary organization dedicated to building healthier lives, free of cardiovascular diseases and stroke—announced today a $5.2 million donation from Sarah (Sally) Ross Soter and her husband, Bill and a $6.25 million donation from Joe and Linda Chlapaty. A large portion of each of these gifts will fund new centers within the Association’s Strategically Focused Research Network for Atrial Fibrillation along with funding to create an immediate health impact in each of their local communities. There are 6.1 million people living with the uncertainty of Atrial Fibrillation (AFib) in the U.S., including both Mrs. Soter and Mr. Chlapaty, and that number is expected to double by 2030.1 AFib is the quivering or irregular beat in the heart’s upper chambers, which increases the risk of blood clots and left untreated, AFib doubles the risk of heart-related death and increases a person’s chance of having a stroke fivefold. The Sarah Ross Soter Center for AFib, will help find answers to critical questions to improve health outcomes for those living with AFib and support collaborative grants across the network. The Joe and Linda Chlapaty Center will be home to a second Decision-making and Choices to Inform Dialogue and Empower A-Fib Patients (DECIDE) Center within the Atrial Fibrillation (AFib) Strategically Focused Research Network. The first DECIDE Center was established through support from the Patient-Centered Outcomes Research Institute (PCORI) and by a gift from keen supporters of the Association, David and Stevie Spina of Massachusetts. Both these DECIDE Centers will leverage comparative effectiveness research to test and deliver shared decision-making tools for clinicians and patients to use together to determine which treatment options will work best to provide the desired outcomes for each individual patient and ultimately improve patients’ lives for this far too common heart abnormality. 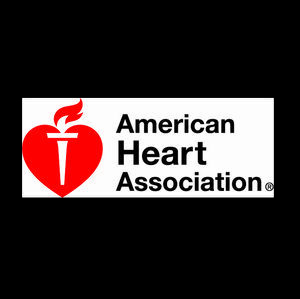 Patients’ strong interest in the topic of stroke treatment and prevention in patients with atrial arrhythmias was demonstrated via a crowdsourcing initiative through which AHA and PCORI sought patients’, families’, and clinicians’ input on research priorities. Combined, these gifts represent $15.75 million to the AFib Strategically Focused Research Network in outright philanthropic support. 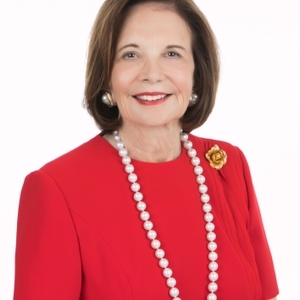 Mrs. Soter, an active Palm Beach community volunteer who’s passionate about improving healthcare by accelerating science, hopes her gift will benefit generations to come through advancement in discovery. This gift is another example of the extraordinary action she is taking. Soter was the inaugural funder to the American Heart Association’s Go Red For Women Research Network in 2015. Soter’s dedication to her community led to earmarking $200,000 to specifically support the Better U lifestyle improvement program in Palm Beach. Mr. and Mrs. Chlapaty are longtime philanthropists in Columbus, Ohio, most recently demonstrating their commitment to building healthier lives in their hometown by chairing the Heart Ball where they announced $750,000 of their $6.25 million gift would directly impact Columbus residents. 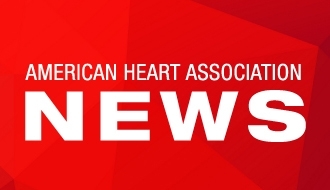 The Association is reviewing applications for the AFib Strategically Focused Research Network which will launch this July. The Association’s recent Scientific Statement discusses the research gaps related to the AFib burden along with future directions for research. Visit the Strategically Focused Research Network for more information.